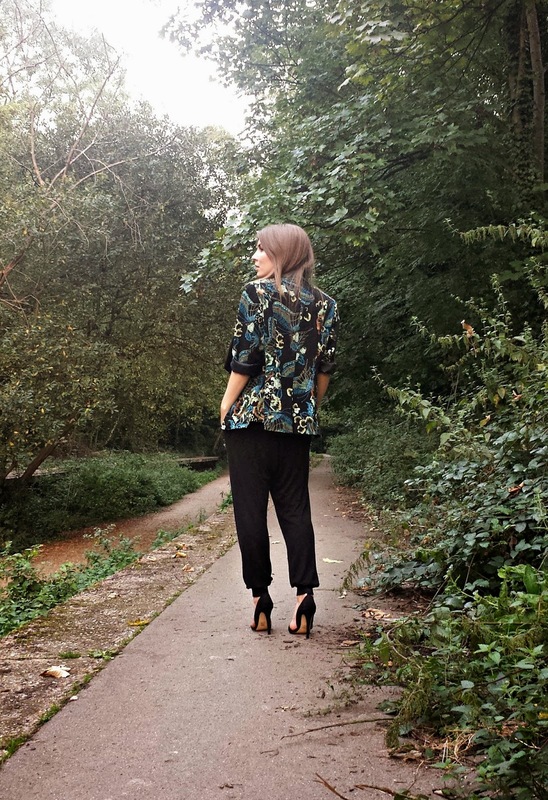 I wouldn't normally go for such a bold print but this Biba blazer is pure retro-fabulousness. Paired with an all-black outfit, the jacket is calmed down a bit whilst still making a statement. In other news, LFW is well under way! It's the most exciting time of year for fashion lovers; I'll be posting my outfits and news from this season's fashion week soon but in the meantime, keep updated with what I'm up to on Instagram and Twitter. Love this outfit and just followed you on WIWT! Wow this outfit is just perfect! The blazer really sets it off.